So, more news, more bacteria, this time going by the name Mycoplasma Pneumoniae! That sort of sounds like I am introducing a new friend.. but no, this is by no means my ‘good friend’! This is yet another co-infection which I have just tested positive for. Mycoplasma is an often un-diagnosed bacterial infection. It’s often over looked in Chronic Lyme Disease as the symptoms are not only highly variable but they also present in a similar way to other co-infection symptoms so it’s easy for it to be missed. This particular bacteria, lacks a cell wall which can makes it non-responsive to many types of antibiotics. The species of mycoplasma are intracellular and must enter a cell in order to survive within a host; in this case a human! Once they are successfully inside a cell, it then confuses the immune system and it struggles to recognise this pathogen. Due to the fact that I do not detox well, my Doctor is cautious not to overload the body with too many antibiotics, and have opted to start treatment for this with a herbal tincture called A-Myco. This is another Byron White Formula and it will work in conjunction with other herbals and antibiotics I am taking to hopefully eradicate the infection. Next Post Time to say Goodbye…UK bound! 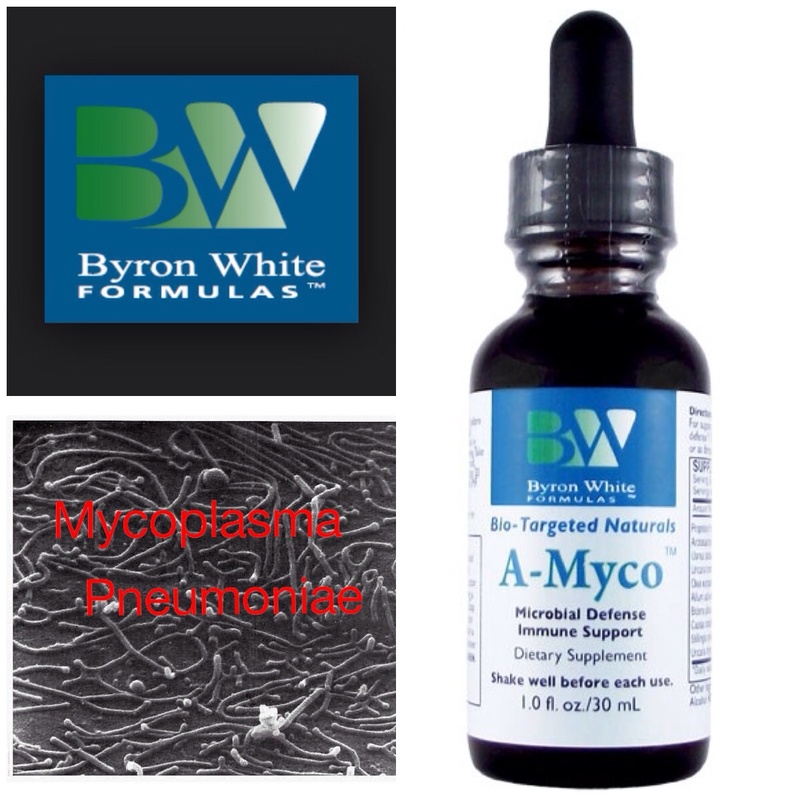 Hello – I’ve been using A-Myco since Jan. 2014. It’s now November 2014 and I have labs as well as health improvements to confirm that I’ve beaten this co-infection; or at least the concentration in my system is less than detectable. I still have one more bottle to use up and then I’m happy to move onto tackling something else. A-Myco has definitely worked for me. My intention in writing this is to encourage. I am careful to separate food and water and other supplements from any BW Formula, which is tough as I need to eat about every 3 hours or so, but it can be done. Hope you are doing well on your journey! I also am not taking anti-biotics. We initially tried 14 or 15 days of a heavy duty antibiotic cocktail, which was terrible for me. Since then we’ve gone “all herbal’ to treat my chronic illness and infections. I do not have Lyme, but my symptoms mostly mirror it. I’m working with a brilliant functional medicine doctor in the Los Angeles area: Dr. Rashel Tahzib.